Easy Pickin’ – Mild – This is their beginner rub that won’t “send you home crying to mommy”. 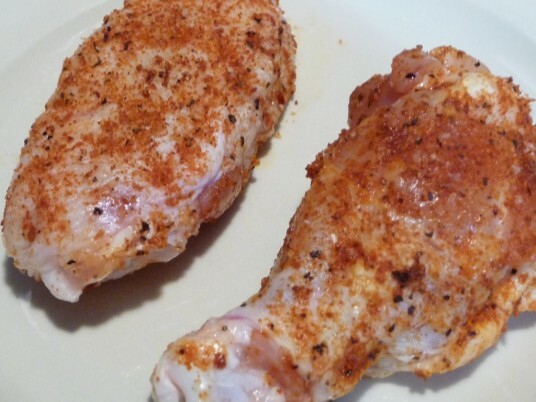 It gives you a little heat, and is the rub they recommend that you use to marinate your wings in before cooking. More on that later. Finger Lickin’ – Medium – Here is where they start turning up the heat with small amounts of Ghost Chili, the “hottest chili” in the world. This is not your typical medium heat, and they “don’t think Grandma will approve” of it. 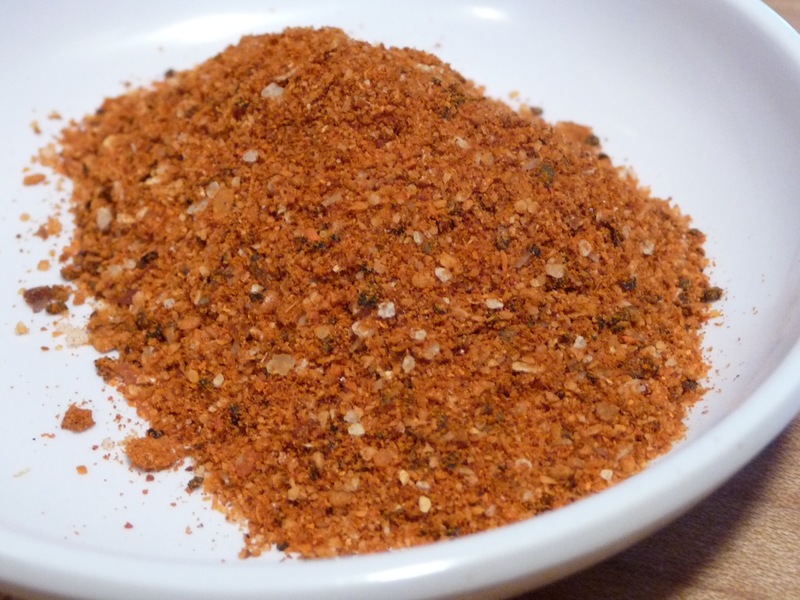 What Was I Thinkin’ – Hot – Their hottest blend is “not for the faint of heart” as they really kick it up with a “giant helping” of the Bhut Jolokia / Ghost Chile. They are correct. This rub is very hot. As you can see in the above pictures, the makeup and look of the rubs are very coarse. They are gluten free and contain no MSG. 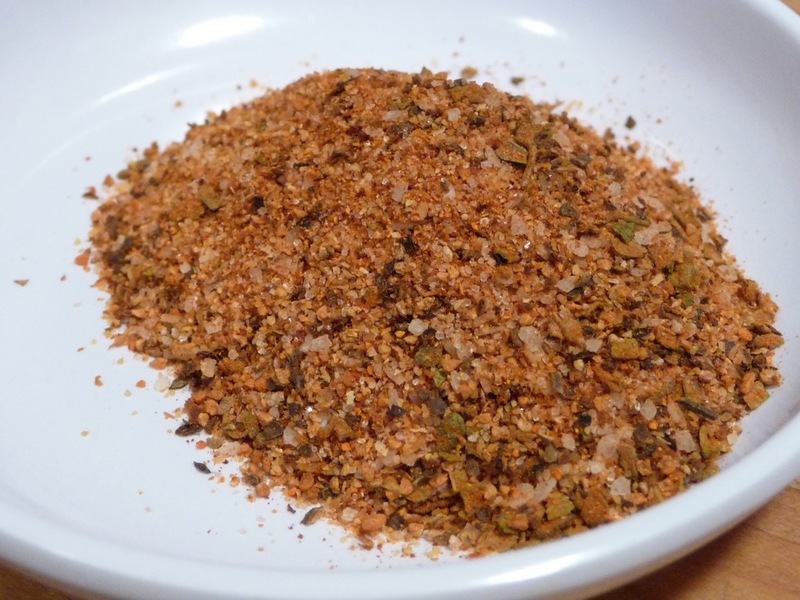 Packed with quality ingredients, these rubs burst with flavor and pungent heat. … adding some extra virgin olive oil, and marinating for a few hours in zip lock baggies before we grilled them. These must be what are considered good grilled wings in Texas. They rock! We thought the medium Finger Lickin’ was the best of the bunch, followed closely by the hot What Was I Thinkin’ blends. The Easy Pickin’ mild was a great start for the marinade, but was a little too tame as a finished wing rub. All of the rubs produced a great char after grilling, as the medium and hot blends have no sugar, and therefore didn’t burn. The overall heat varied from medium to medium-hot, bringing on a full mouth burn, but neither was so intolerant that you’d have to reach for the cooling dips. 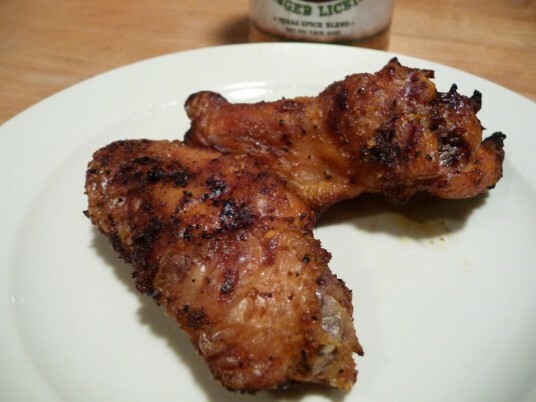 Kramer’s Gourmet Foods has done a great job of bringing a Texas Spice Blend to a chicken wing rub, that is flavorful, satisfying, and savory with just the right amount of heat. And the 7.5 ounce shaker bottles offer a great value with flavor. 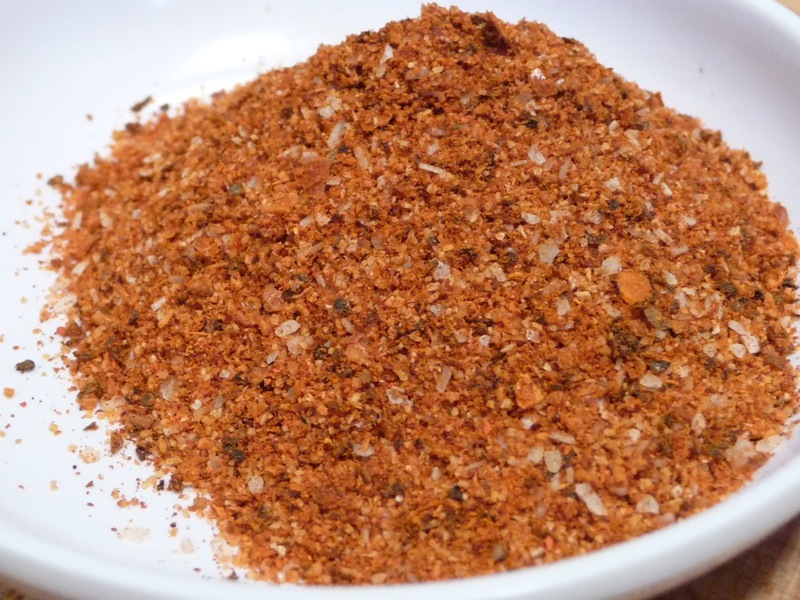 Hot wing fans, your rub is here. 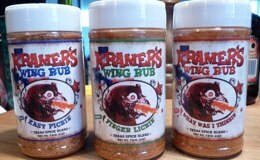 Visit KramersGourmet.com to purchase a 3 pack of this line now! You won’t be sorry. 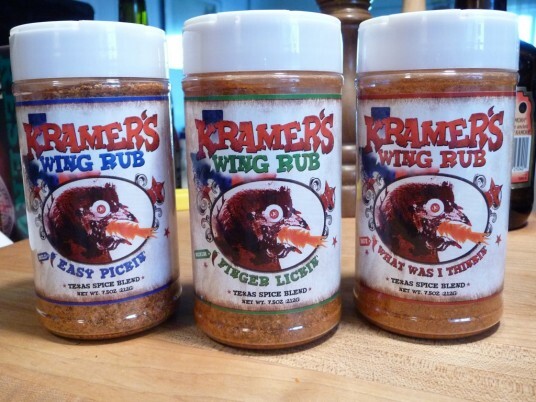 And Kramer’s has a good list of other Kramer’s recipes that their rubs are great with, such as Chili, Buffalo Style Wings, dips and more. So check them out and tell them Brian from HotSauceDaily.com sent you. Flavor: – minus 1/2 star for saltiness. Heat: – Some heat levels for everyone. The medium Finger Lickin’ is our top pick of the three. 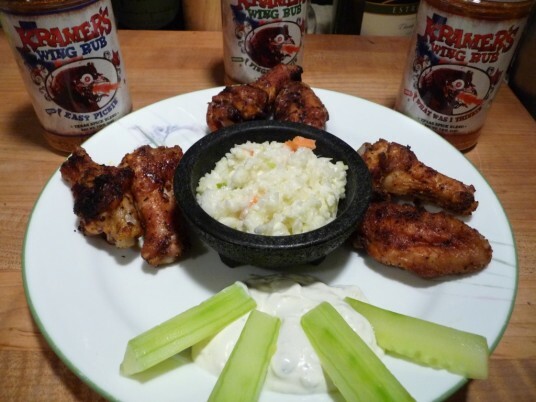 Overall: – Top notch, gourmet quality, best wing rub this year. Look forward to some great content this week! Yea, these things get away from me too. Did you know yesterday was Scoville Day? One hundred years of Scoville ratings. Great review guys. Those wings looked great. Thanks! Pretty good stuff alright. I should amend the review to reflect that the “What Was I Thinking” is really, very darn hot. (Technical term). Yes, “What Was I Thinking” is really hot, like 5 Star hot! Great flavor though, but yeah, really really hot!